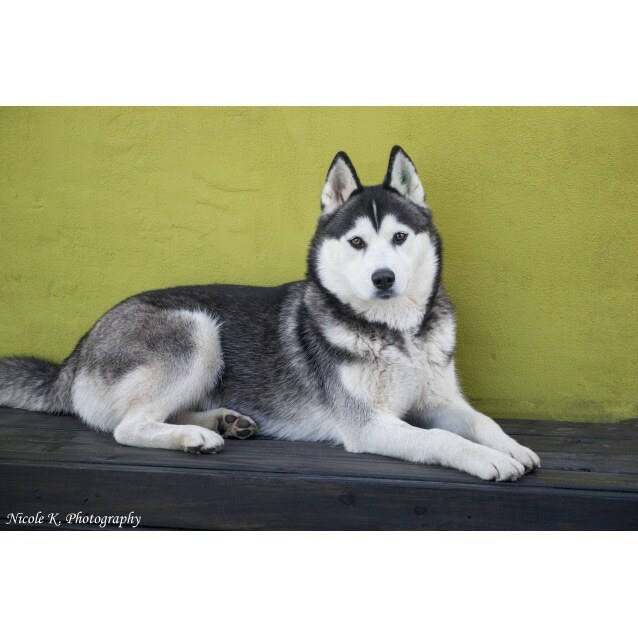 Lunar - 2 year old - Female Siberian Husky. 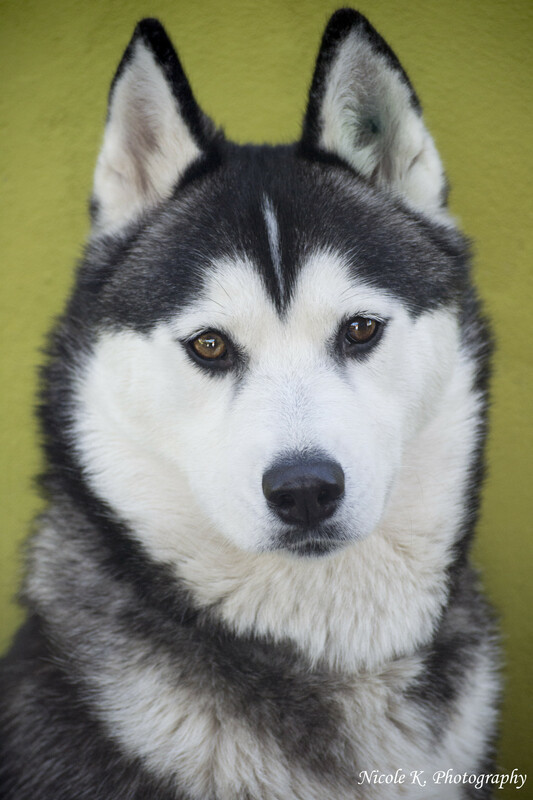 Lunar is a very affectionate girl who just adores giving kisses and receiving lots of tummy rubs, Lunar will quickly become your shadow and likes to follow you around the house with a huge husky grin and a happy wagging tail. Lunar is currently in foster with 1 male and 1 female and she gets along famously with them both and knows her place very quickly. 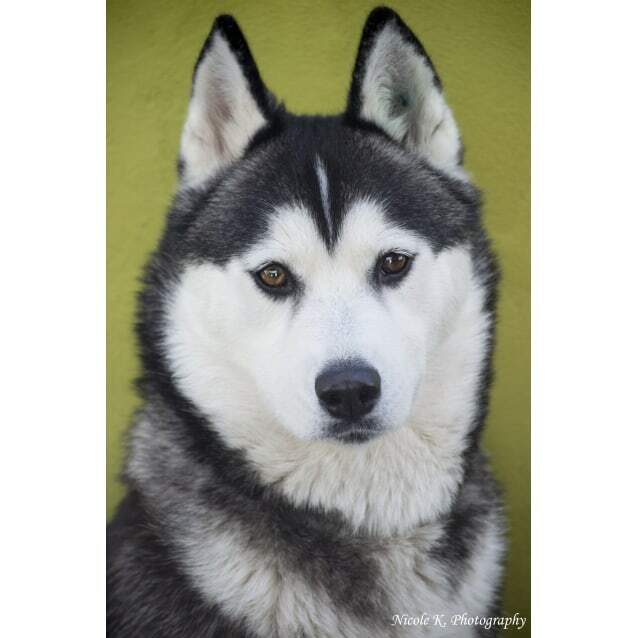 She is an active girl who doesn't lack confidence and loves to do backyard zoomies and bitey face with her fellow huskies, but once she is inside she loves nothing more than to unwind with a little bit of sleeping, or cuddles if your giving them out. On a cheeky side note she does have a fascination with possums, moths anything she can chase and will stay fascinated much longer than the other dogs she is in foster care with .. she's a girl that enjoys the simple things in life. For this reason she will require at least 6 ft fencing to keep her safe from her inquisitiveness. 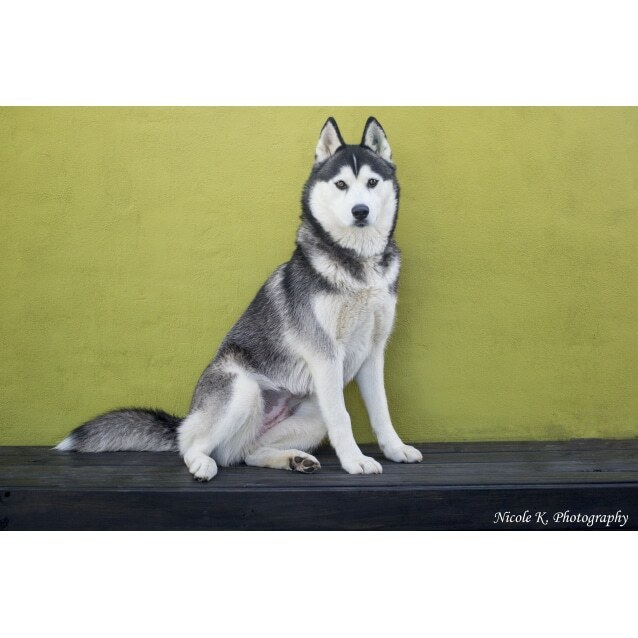 Lunar is fully house trained, and doesn't take long to settle into new surroundings, She also adapts to new rules quickly and follows house rules very well. she currently spends her night cuddled in bed with her foster parents and siblings since she's on the little side she doesn't take up much room at all and would like for her to continue to be an indoor dog. Lunar has proven to be a fast learner in our care and is very eager to please her humans, Lunar came to care with no basic obedience and after only a short few weeks has learned Sit, Paw, Wait and stay, she can ring the bell if she wants to go outside (how clever right?) \ And knows to go to her bed/mat when told too. Lunar will suit a family who will let her be indoors, Lunar does not require a lot of hard work as she is a very easy girl to manage and generally get's along better with canine companionship, Please only apply for Lunar if you can give her a friend. 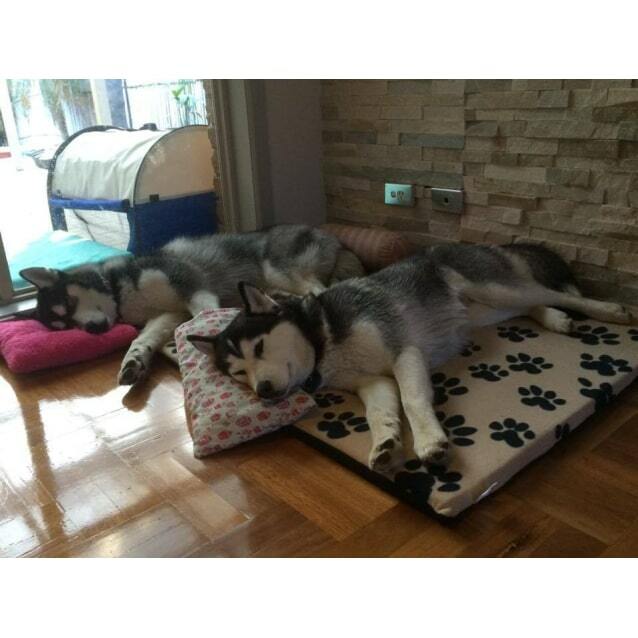 Lunar adores young children and is currently living with a 5 year old boy who simply adores her, Lunar is very gentle around him and does give him little kisses and make sure he's okay. She also requires dig proof fencing as she likes to visit the neighbors... she is a very social little girl. No Cats or Pocket Pets.